When you think “USG”, you’re likely to think of the smiling, maybe even overly enthusiastic, faces in uniformed shirts on the quad, waiting for you to approach, with incentives like T-shirts, notebooks, and candy displayed on a table. It all seems like a hassle: sign over your soul for spam mail, in exchange for your awkwardly fitting Lesley shirt. And you’re probably not concerned with whatever business they involve themselves with anyway. But the more you know about your Undergraduate Student Government, it may make you reconsider. In reality, you may already be looking for us without realizing it. Most students who have questions like “How do I get a group to go hiking in the fall?”, or “Is it possible to start a radio show?”, or, if you were anything like me as a freshman, “Why is the administration allowing x to happen? !” Undergraduate Student Government is responsible for a lot more than just bringing alpacas and baby chicks to campus, and handing out free things. 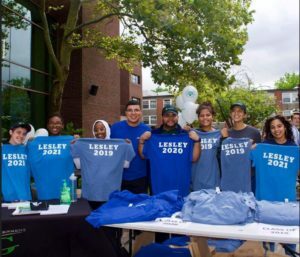 USG is an organization that exists to serve the Lesley students in helping to forge the spaces they want to have on campus, seeing changes in the areas where it matters, and having their voices heard by the administration when it comes to areas beyond club meetings and events on the quad. More specifically, USG has positions that attend administrative meetings, such as the once a month Board of Trustees meetings, University Council meetings, and meetings with President Hansen to let him and other administration members know what is going on with the student body; we also bring to their attention any concerns that the students have. Every member of USG also holds an office hour once a week in the USG office at the bottom of White Hall; but we will hopefully be available elsewhere on campus this year, such as the Lunder Arts Center, student areas in University Hall, as well as spaces on the Brattle campus. This is the student body’s opportunity to speak one on one with a USG member on issues like starting a club, improving areas for commuters, getting university money for a certain event or a certain item for a club, and trying to make a change in a system in place that they see needs improvement. From there, the concern can be turned into a proposal, drafted with the student and USG member, brought to the rest of USG as new business, and processed into action. Students are welcome to watch the progress of their bill by attending the meetings and hearing how USG deliberates the feasibility of that bill. What’s exciting about USG is that they are more visible than ever due to the motivated individuals who are a part of it. USG’s Executive Board has worked tirelessly to build a team that is motivated and well connected so that we are better equipped to serve the student body. A face of E-Board you may have seen is president Jose Mendoza, a junior Business major who fulfilled the tradition as USG president of speaking at Freshman Convocation, the coverage that followed, or on the pamphlets around campus for the Urban Scholars Initiative. There are other dedicated members such as Chairperson of Allocations Vita Franjul, a senior Elementary Education senior who is the longest standing E-Board member; Chairperson of Student Affairs Mike Dussault, a sophomore Psychology major who goes above and beyond with the creation of management of our social media presence that has garnered USG an amazing following; Chairperson of Student Affairs Chase Bristol, a sophomore History major whose enthusiasm and warm energy will propel USG with maintaining communication between students, USG, and the Dean of Students; and Chairperson of LA+D Affairs Jeannine Hernandez, an absolutely magnificent senior Illustration major whose involvement and dedication to three other organizations on campus gives USG more perspective and insight than just at LA+D. Among them are other wonderful senate members and class coordinators whose dedication to serving the student body has also launched USG into the stratosphere. And you could possibly be a member of USG, too. The aforementioned individuals are all students like you; most likely in your classes, or in line behind you in the dining hall, or the dorm room next to yours. 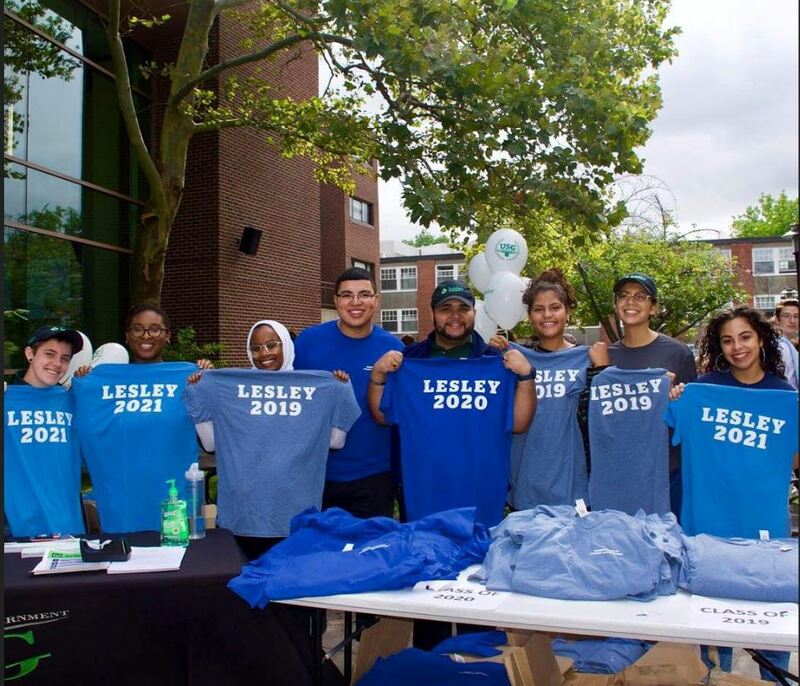 USG is not only enthusiastic about handing out T-shirts, but eager to engage with students who not only have concerns or ideas about how to better the campus climate, but who want to join us in this effort. Some of the goals for this academic year include holding more events that are specific to LA+D to better understand their concerns within the college and hear their voices. USG is also ready to improve the standing student to admin relationship, and really let them know what the student body is thinking and feeling about the campus climate. We’re also planning to collaborate on events with the Office of Community Service later this semester. It’s not too late to apply for a position by picking up an intent packet outside of our White Hall office and turning it in to the Office of Student Activites (near the restrooms in Ava’s) before 5pm on September 27th. So come join us, and be a part of your USG. From left: Chase Bristol, Destini Booker, Rianne Elsadig, Jose Mendoza, Carlos Acevedo, Vita Franjul, Jeannine Hernandez, Jada Sullivan. Each member is holding their respective class year shirt. Jose graduates in 2020 (he’s not holding a shirt).